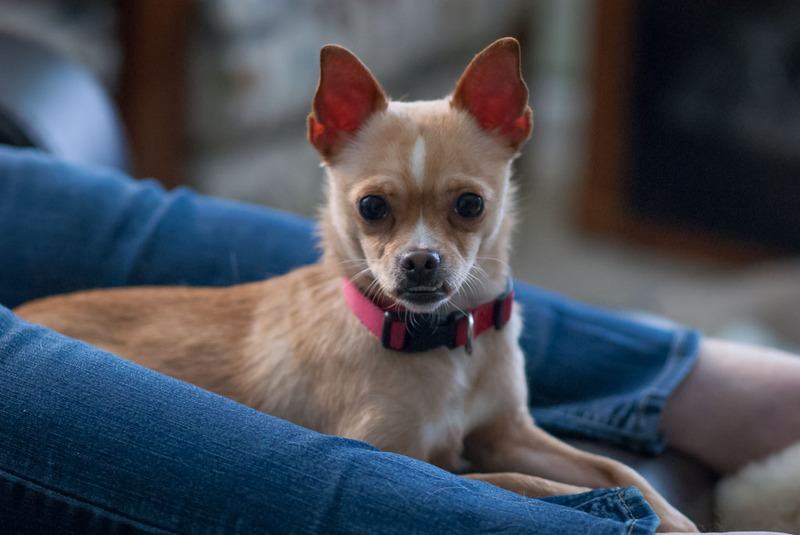 Summer Time Lane, our new adopted 18-month-old Chihuahua, immediately took to Abby’s lap, where she sleeps as I write this. Abby holds Summer during the adoption process. Summer has a curious underbite, but otherwise seems to be a perfectly healthy little dog. She weighs about six pounds. 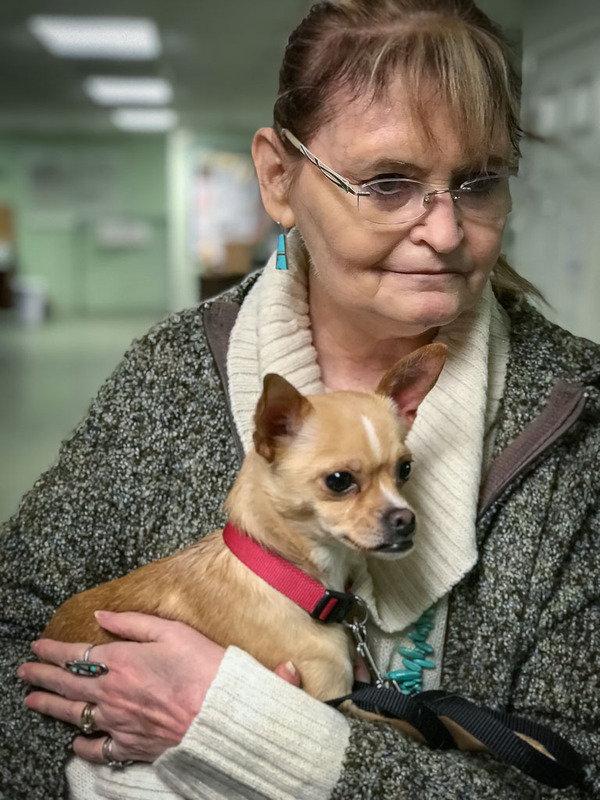 After a routine doctor visit and breakfast, Abby suggested we go by the Pontotoc Animal Welfare Society (PAWS) to see if they had any female Chihuahuas to adopt. I liked the idea: Abby and I both felt a little empty nest syndrome after Sierra died in March. We found one, a beautiful, tiny 18-month-old who had been “brought back” after she supposedly bit a grandchild. We played with her for a few minutes and decided we belonged together. We also decided not to use the name she was given, and pondered for a short time before deciding to call her Summer Time Lane, in keeping with our dog naming scheme: Sierra Kayenta Avenue, Maximum Speed Boulevard, and Hawken Rifle Trail. In the short time she’s been in the house, she seems to be taking to us, and us to her, just fine. 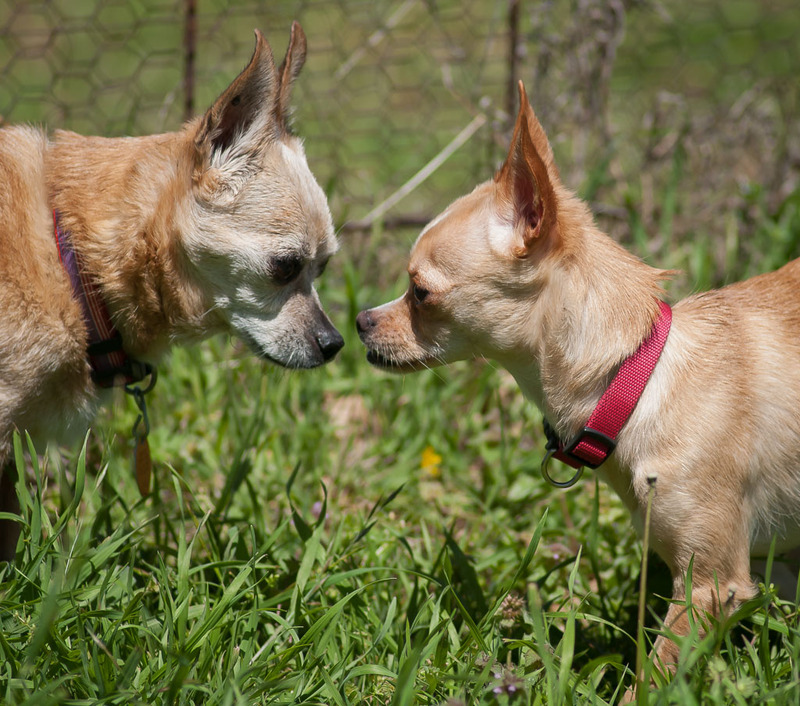 Nose to nose: Max, our 14-year-old Chihuahua, and Summer, the new 18-month old, get acquainted. We adopted Max from the same shelter in 2006 when he was about Summer’s age.